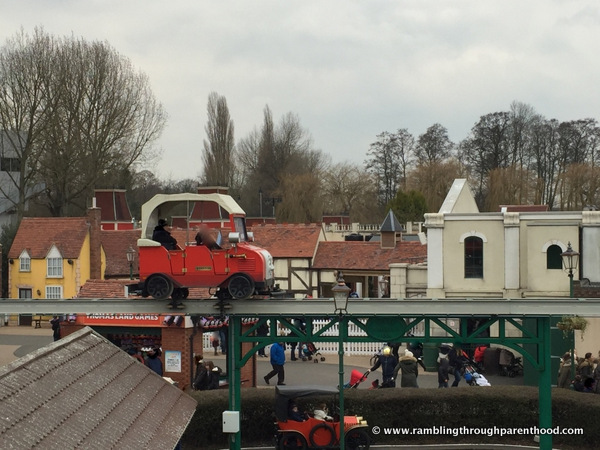 If you are a fan of Thomas The Tank Engine or theme parks, or indeed, enjoy a fun day out with family and friends, then this is the place for you. Here are my must-do things when visiting Thomas Land. 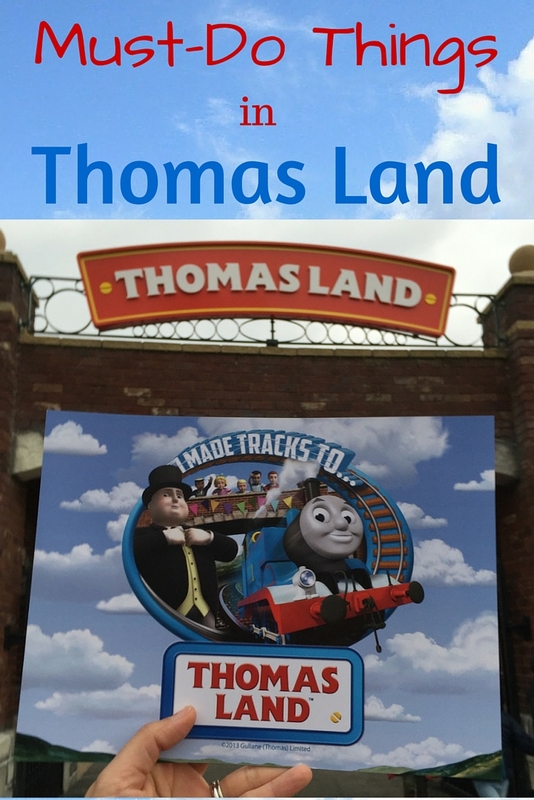 That has to be the whole point of visiting Thomas Land, surely. To be able to ride in carriages pulled along by a real, full-sized working Thomas The Tank Engine. Two engines run at any given point through the day. We had Rosie and Thomas on chugging duty the day of our visit. We boarded the train at Knapford Station, which is the main hub of Thomas Land, and went over to Tidmouth Haults. There is plenty to see and do at both ends of this lovely little train ride. The highlight has to be the engines turning on the turntable as they prepare to shunt for the return journey. Here’s a sneak peek of what to expect. There is a fantastic selection of theme park rides to choose from, and they are all based on characters from Thomas And Friends. J was a little younger when we last visited. He is now older and a lot braver. So we made it a point to ride Bertie Bus and The Troublesome Trucks Runaway rollercoaster, not once, but twice. This time, J was taller too. So he had a go driving in Terence’s Driving School – three times. It won’t be long before he asks to drive the real thing! Jeremy Jet is a huge favourite. Here is where J gets to pilot an aircraft and make it go up and down at the touch of a button. 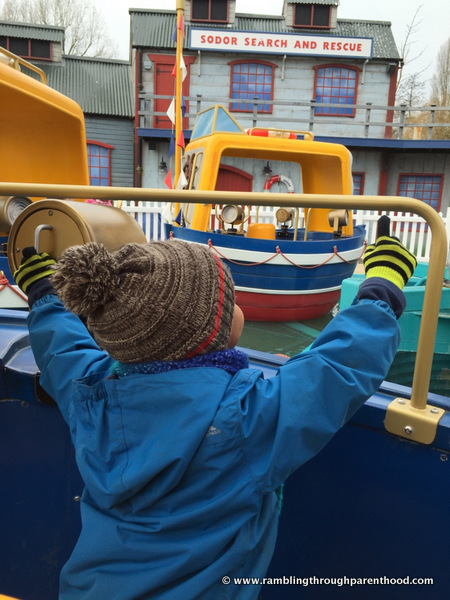 Harold the Helicopter is another favourite if you fancy flying high up above Thomas Land. J loves Winston’s Whistle Stop Tours where you get to ride The Fat Controller’s inspection car to take a tour around Thomas Land. What makes this ride special is that the car goes along rails suspended high in the air. Thrilling, to say the least! 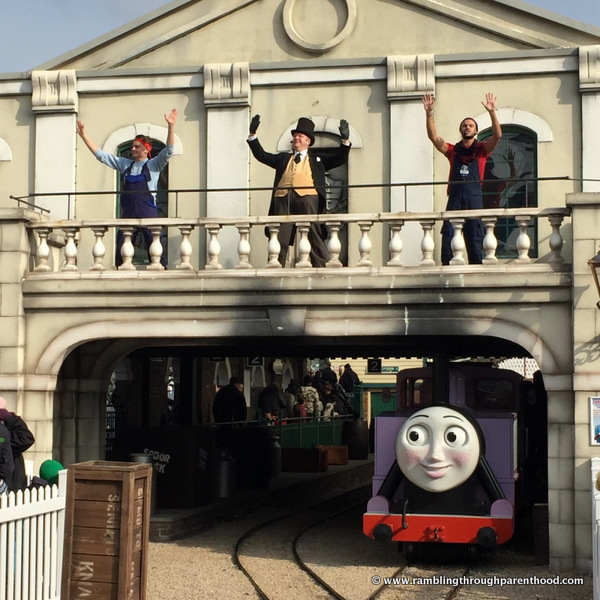 We made it a point to check out the new rides in Thomas Land following their expansion last year. I loved Flynn’s Fire Rescue, with it’s ladders going up and down. I did get slightly dizzy in the Captain’s Sea Adventure. Not so my J, who went promptly across to ride Toby’s Tram Express. If you are feeling rather more adventurous than we were, do try Rocking Bulstrode and Cranky Crane Tower Drop. If you ever wanted to see The Fat Controller singing and dancing, here is your chance. He performs on the balcony at Knapford Station at certain times through the day. And when that happens, the whole of Thomas Land stands to watch and cheer along. We happened to catch one of these shows, and you can too! This is another fascinating place that is a favourite with my son. The exhibition showcases an intricate miniature model of Sodor, complete with trains, stations, crossings and signal points. It is a railway enthusiast’s heaven. J was so happy in there, he would have spent the entire day running alongside Thomas and Rosie as they did the rounds of the island. 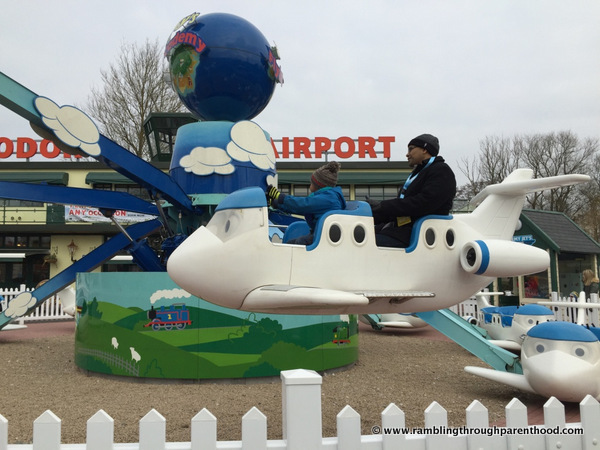 There are plenty of Thomas unrelated things to do in Thomas Land if you or your little ones feel the need to step away from the rides for a bit. 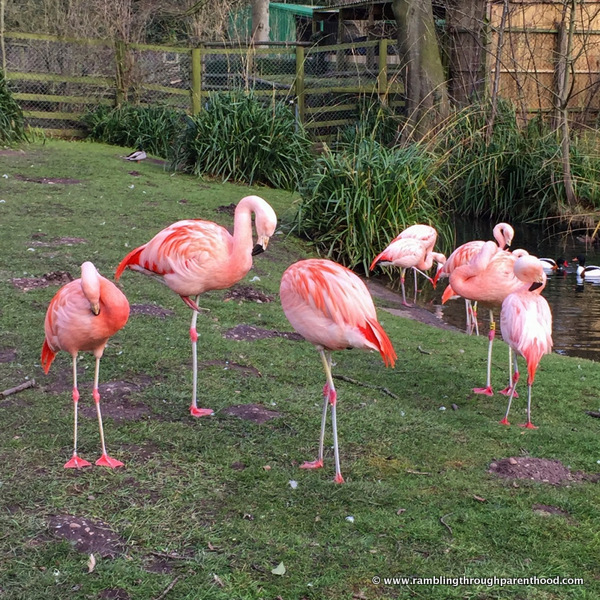 There is a little zoo, where we saw some pretty pink flamingos. And there is the adventure playground with an assortment of climbing frames and slides. Now you have had so much fun, it is time to pick up a souvenir of your visit. I was delighted with the new shop on the premises. It stocks a variety of cute Thomas memorabilia. 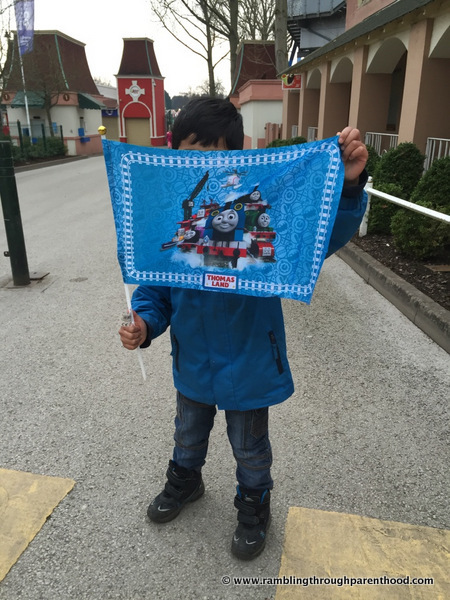 J picked up a flag to remind him of his lovely day out. So these are my things to do when visiting Thomas Land. What is your favourite? Will you be visiting soon? Disclosure: This is my entry to be considered for a Blogger Ambassador role at Thomas Land. We were provided free entry and refreshments as part of the selection process. All opinions are my own. My son absolutely adores it there. We've visited so many times now, and he never seems to tire of it. Never knew there was a Thomas Land, but now I'm longing to visit... my family lives near the theme park associated with Mister Roger's Neighborhood, and it was one of my favorite places as a child. I can't wait until my daughter is old enough to experience it! I bet she will love it! We first visited when my son was not yet three, and he as enjoyed it since. It most certainly is, especially if you have a Thomas Tank Engine fan in the family. Or love trains and theme parks! It looks amazing - just a shame it's so far away from Scotland! 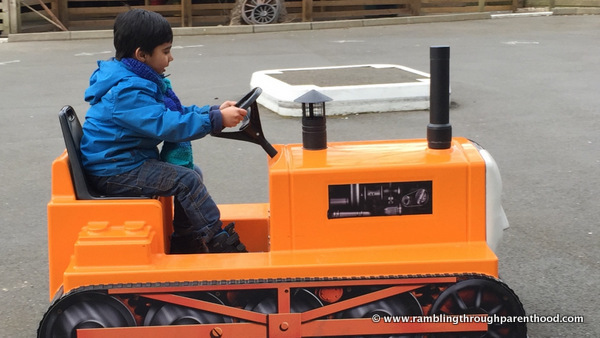 There's a Thomas train that runs round the local zoo where my Mum lives and my littles love it.